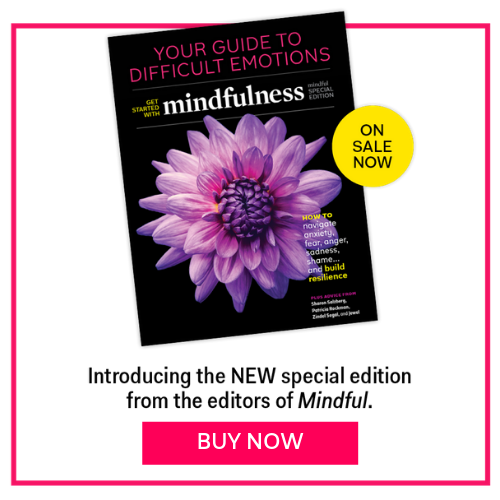 Could Mindfulness Help You Control Your Anger? New studies suggest that mindfulness may help us keep our cool during relationship conflicts. I still remember the time I hit one of my close friends. It happened many years ago. We were exiting a chemistry class together, and he was teasing me…mercilessly. I repeatedly asked him to stop, but he wouldn’t. Rather than shrugging it off, though, I hit him hard on the arm. Both of us were shocked, but only I was left feeling shame, too. I know I’m not the only one who has let anger get the best of them only to regret it afterwards. While anger can sometimes be useful, more often than not it’s damaging. If we respond to inconsequential slights or perceived wrongs with yelling, snubbing, or violence, it can escalate conflict, wreaking havoc on our relationships. How can we keep our cool and not let anger get out of hand? Recent studies suggest mindfulness could help. Mindfulness, a state of being often developed through meditation practices, involves paying attention to our present circumstances with acceptance and non-judgment, while enhancing our equanimity. In a study published in Mindfulness, David DeSteno and colleagues gave half of the participants a daily mindfulness practice to do at home for three weeks, while the other half practiced solving cognitive puzzles and problems. The mindfulness practice guided participants to focus on their breath and body sensations, monitor thoughts and mind-wandering, and develop a non-judgmental orientation toward their experience. Then, in the lab, participants did a test measuring their “executive functioning” or cognitive control—which includes the ability to inhibit unwanted behavior—and then delivered a short presentation about their future goals to another person. Unbeknownst to the participants, the listener was a confederate of the researchers and always delivered a scathing critique of the talk, no matter its content. Afterwards, participants were first asked how they felt (including how angry they were) and then told they’d been “randomly assigned” to create a tasting sample for their critic using a few ingredients—one of which was super spicy hot sauce. Researchers used the amount of hot sauce added to the sample to represent a participant’s willingness to inflict harm on the other person. Results showed that meditators gave significantly less hot sauce to the person who critiqued them than non-meditators did—even though they were equally angry after the critique. In other words, meditators were less willing to be vengeful. Meditators gave significantly less hot sauce to the person who critiqued them than non-meditators did—even though they were equally angry after the critique. In other words, meditators were less willing to be vengeful. According to DeSteno, this result fits in well with the Buddhist theory of what mindfulness meditation is all about. “It’s doing exactly what the developers of meditation hoped that it would do: increase ethical behavior by preventing people from inflicting harm on other people in a situation where that’s the normative response,” he says. How does this work? Interestingly, the meditators’ reduced desire for revenge didn’t seem to come from increased cognitive control, as measured by the test. DeSteno hypothesizes that mindfulness may work in a bottom-up fashion, rather than helping people inhibit behavior or suppress emotion in a controlled, top-down way. This could be good news for those who want to control their anger but find it hard to do. Another recently published study suggests this may true for at least one particular situation: conflict in a marriage. In the study, couples completed surveys on their overall levels of mindfulness and were then hooked up to blood pressure monitors and electrocardiogram machines to measure heart rate variability (the variation in time between heartbeats, with higher levels associated with better health and emotional regulation). Then, the couples were asked to discuss a conflict in their marriage that was of deep concern to them both. After analyzing the cardiovascular data, the researchers found that more mindful individuals had better heart readings during conflict—in particular, better heart rate variability and lower systolic blood pressure—than those who were less mindful. This suggests that mindfulness helps people keep their cool during conflict—decreasing their health risks, while also potentially reducing aggression (which has been tied to these markers). Interestingly, he and his colleagues also found that if one member of the couple was high in mindfulness, the other partner also had better heart readings during the conflict, regardless of their own mindfulness levels. This means that both partners may benefit from one person’s mindfulness—perhaps creating a ripple effect that can reduce tensions. Kimmes believes that a more mindful person is likely to communicate in a calmer tone and use less provocative language during conflict—a signal not lost on the other person, whose heart calms down in response. If one member of the couple was high in mindfulness, the other partner also had better heart readings during the conflict, regardless of their own mindfulness levels. Though Kimmes’s study is preliminary, it does add a new dimension to research connecting mindfulness to marital satisfaction. In addition, it mirrors results from other studies demonstrating the positive effect of one person’s mindfulness on others—such as more mindful teachers improving their classrooms’ emotional climate, or more mindful parents enhancing the well-being of their children. Together, these two studies suggest that the way mindfulness reduces our aggression may not be through conscious impulse control. And if that’s true, reducing conflict in marriages and other relationships may take less effort and willpower than we thought. This article originally appeared on Greater Good, the online magazine of UC Berkeley’s Greater Good Science Center, one of Mindful’s partners. To view the original article, click here.